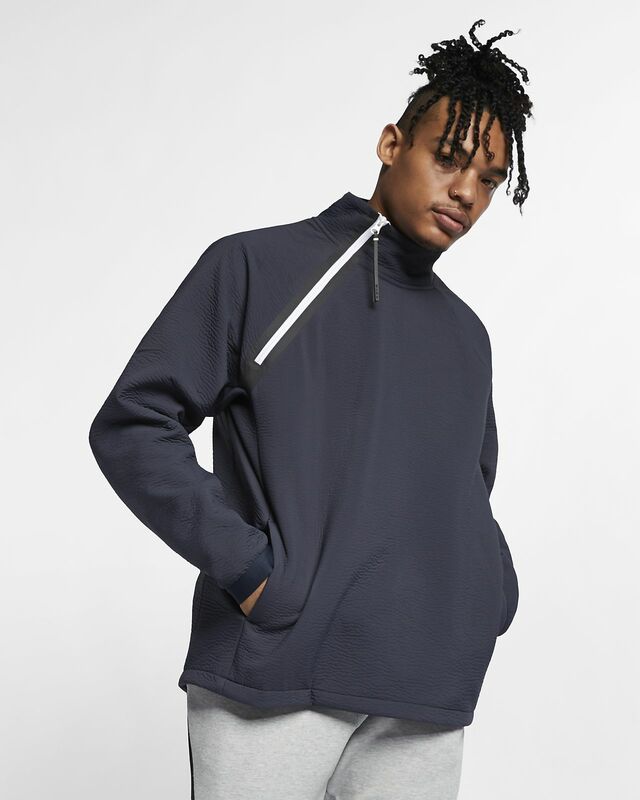 Engineered for movement, the Nike Sportswear Tech Pack Top is made with lightweight, textured material for a tech-inspired look that's as comfortable as it is versatile. 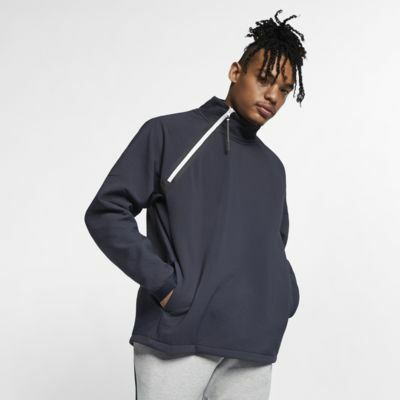 Engineered for movement, the Nike Sportswear Tech Pack Top is made with lightweight, textured material for a tech-inspired look that&apos;s as comfortable as it is versatile. Textured fabric has a soft feel. Asymmetrical zipper create versatile style options. Stand-up collar gives you classic coverage. Translating to "Nike," alphanumeric code appears at the left cuff. Fabric: Body: 100% polyester. Pocket bags: 80% polyester/20% cotton.